For those who are traveling with your family, there are several fun activities to do around the area. 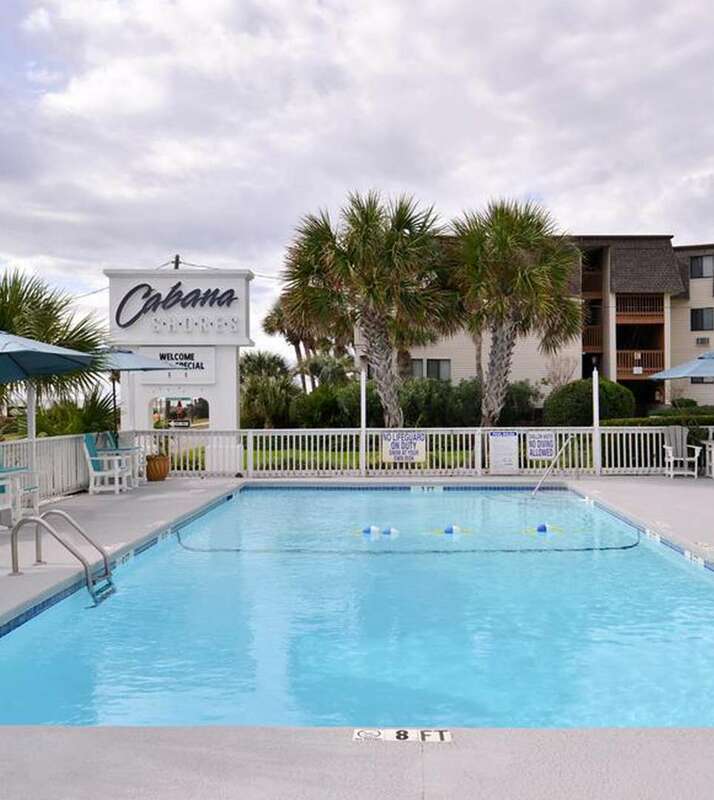 In less than 5 miles, you can enjoy attractions such as Cane Patch Par Three, Northwood Shopping Plaza, Plantation Point Plaza, Ripley’s Aquarium, and much more. As a bonus, Myrtle Beach International Airport is less than 20 minutes away. Dining options are of course available all over town. To suit any taste bud, you can find exquisite or casual restaurants at Broadway at the Beach, The Market Common, and much more. Ripley’s Aquarium is one of the most famous attractions in Myrtle Beach. Explore the aquarium and see giant octopuses, sharks, stingrays, hundreds of different fish, beautiful coral, and so much more! This is a perfect activity for all ages. Different activities and events are always happening so don’t forget to check it out! Along with Ripley’s Aquarium, Myrtle Beach State Park is another popular tourist attraction. For those who like fishing, there is a fishing pier where you can catch all types of fish! Miles and miles of hiking trails are available along with camping grounds for those who are adventurous and like the outdoors! All of our newly remodeled rooms are spacious, and all have a private balcony with either a Side Ocean view or direct Oceanfront view! Each guestroom is ADA Defined service-animal friendly. Rooms have microwaves, refrigerators, and a coffee/tea maker. Rooms are climate-controlled with heating and air conditioning so you can have a comfortable stay. Enjoy your rainfall shower head in your private bathrooms featured with a hair dryer. Our cozy rooms have blackout drapes/curtains and pillow top mattresses so you can relax during your stay. Work desk with power outlets, iPod docks, and an in-room safe is available for those who have to bring work with them! Don’t forget to check out the outdoor swimming pool with sun loungers so you can relax under the hot sun. A business center is available with the resort fee and photocopy, and faxing services are provided. Laundry facilities are offered for your convenience. Check in is from 3:00 PM to 11:00 PM and check out is at 11:00 AM. An elevator is available along with accessible rooms and bathrooms. Free on-site parking is available, and no reservation is needed. All rooms throughout Cabana Shores are Non-Smoking and have Free WiFi. Please don’t hesitate to contact the front desk for any questions throughout your stay! We do allow early check in as early as noon for an additional fee of $20.00 based on availability. We can offer late check out (2:00 pm, based on availability) for an additional fee of $20.00. We have a 7-day Cancellation Policy at Cabana Shores Hotel. If you wish to cancel and request a refund on deposit, you must do so by 6 PM, 7 days prior to your arrival date. Refund will be issued less $25 admin/processing fee. Deposit is non-refundable if you cancel within 7 days of the arrival. All reservation are subject to a deposit of 1st night room and tax. The Hotel is not responsible for guaranteeing the reservation if an invalid or expired credit card is provided. Government-issued photo identification and a credit card that was used to pay the deposit are required in order to check-in. Cardholder and Person's who's name is on the reservation must be present at check-in. Resort fee: $5.00 per night Includes pool access, internet access, premium Keurig coffee, parking, and phone calls. Smoking is permitted on the balcony with doors closed and away from AC. Smoking is also permitted near each staircase. $150 penalty for smoking inside the rooms. Management attempts to honor all requests. However, oceanfront rooms and Oceanview rooms are on a first come first serve basis. Cabana Shores guest rooms on upper floors (4-6) offer an excellent full ocean view. However, lower floors (1-3) offer a partially obstructed, side ocean view. Be sure to book early for the best Ocean view possible! Only one vehicle per room is allowed to park for free. $10 extra for extra vehicle per night based on availability. During season specially on weekends we will not be able to issue additional parking passes. We have very limited parking on-site, so vehicles without parking pass will be towed without any notifications. Free WiFi is provided in all rooms and public areas at Cabana Shores Hotel. ADA Defined Service Animals are welcome at our hotel. Sorry, absolutely No Pets are allowed. $150 Penalty. All special requests are subject to availability upon check-in. Special requests cannot be guaranteed and may require additional cost. Management attempts to honor all requests. However, oceanfront rooms and Oceanview rooms are on a first come first serve basis. Cabana Shores guestrooms on upper floors (4-6) offer an excellent full ocean view. However, lower floors (1-3) offer a partially obstructed, side ocean view. Be sure to book early for the best Ocean view possible!